Cattle markets that have outperformed expectations have bewildered cowboys and economists alike the past two years. Even as beef supplies have grown to near-record levels, resilient consumer demand has helped support cattle prices at levels few imagined 24 months ago. Maintaining that robust consumer demand remains critical for cattle and beef prices in 2019. U.S. beef production will increase 2.8% to 3% for 2018, according to estimates. That means total supplies will near 27 billion pounds. Another 1.8% increase is projected next year by Sterling Marketing, Vale, Ore. In terms of value, beef exports will exceed $8 billion in 2018, and account for more than $300 to the value of every fed steer harvested in the U.S.
Supplies of beef are likely to reach a peak for this cattle cycle during 2019, as economists say expansion is near its end. USDA’s recent estimates put the 2019 beef cow number at 31.9 million, which would be a 0.5% increase. 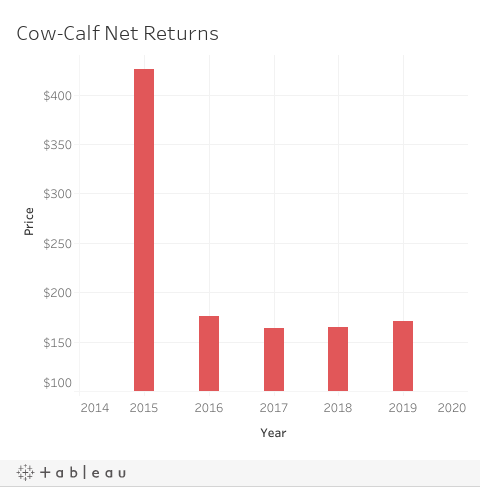 While no one expects windfall profits for cow-calf operators next year, the general consensus is that modest profits will be the norm. Tonsor projects 2019 calf prices to be “flat,” but ranchers may see gains on the cost side. Nalivka says lower costs play a factor in his cattle price and profitability projections. Grain, hay and fuel prices are all projected to be lower in 2019. Tonsor and Peel both contribute to the Denver-based Livestock Marketing Information Project (LMIC), which combines the knowledge and resources of several university economists. LMIC projects small profits for cow-calf operators in 2019, again, better than expected.